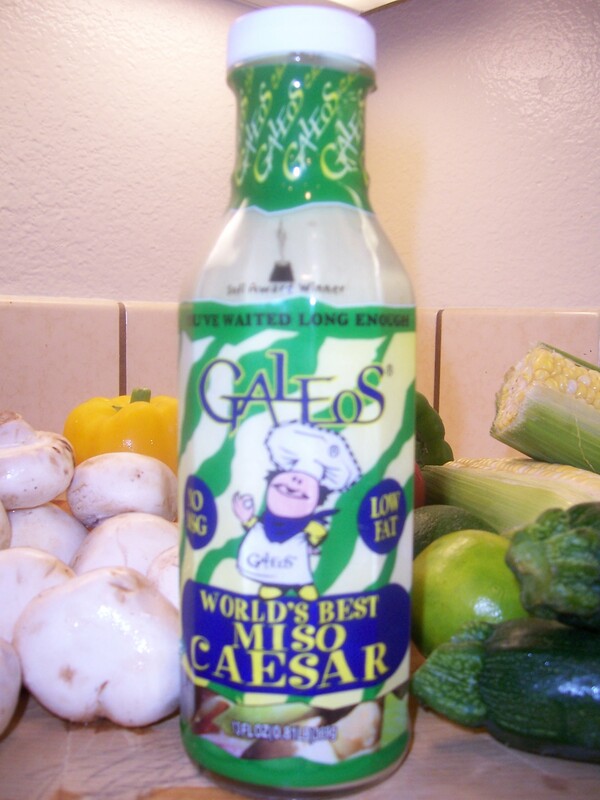 While on our vacation, we had the chance to visit with some of our readers, who introduced us to the wonder that is Galeo’s Miso Ceasar dressing! We absolutely loved this tangy, tasty stuff and couldn’t wait to try it out in a few recipes of our own. In a word, YES! 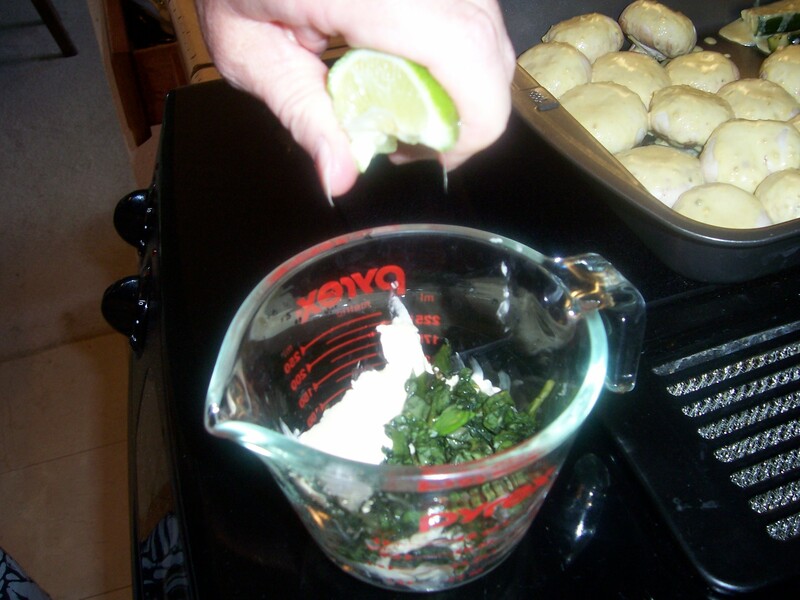 We decided, after reading an article in “Fresh and Fabulous” by Cuisine Lite, that we wanted to revisit this recipe. 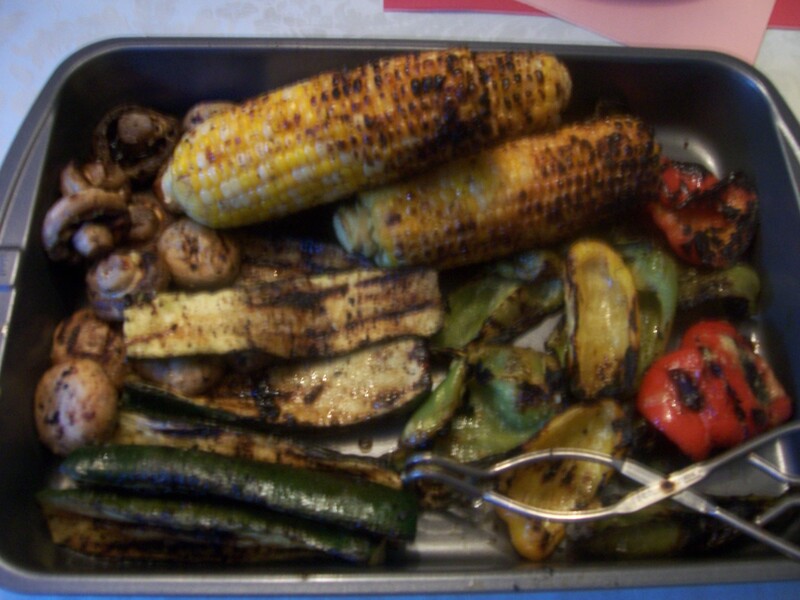 The article offered a list of recommended grilling times for various vegetables, and we wanted to see if adhering to these times might make a difference. With that in mind, bring you Miso Veggies a’la Fatty. Start by washing your mushrooms and slicing off the stems. 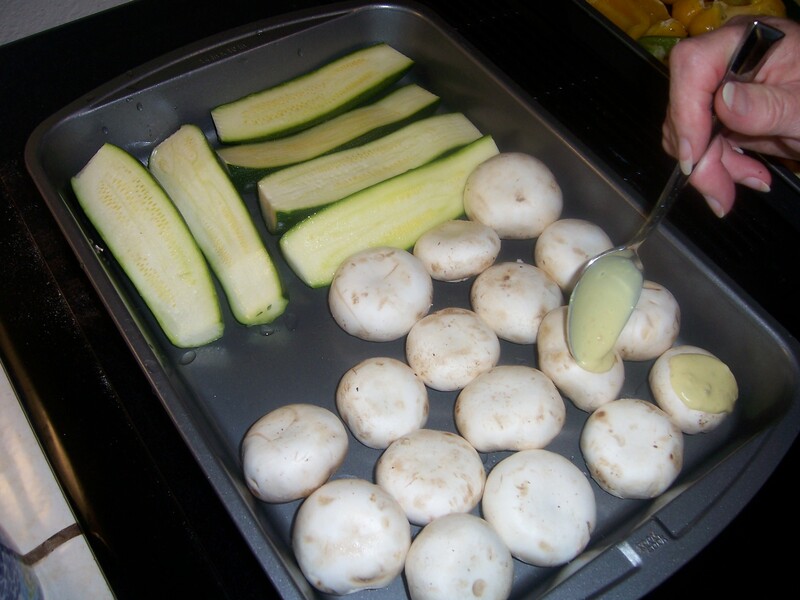 Set mushrooms in a tray and put aside, but be sure to leave room for your other veggies! 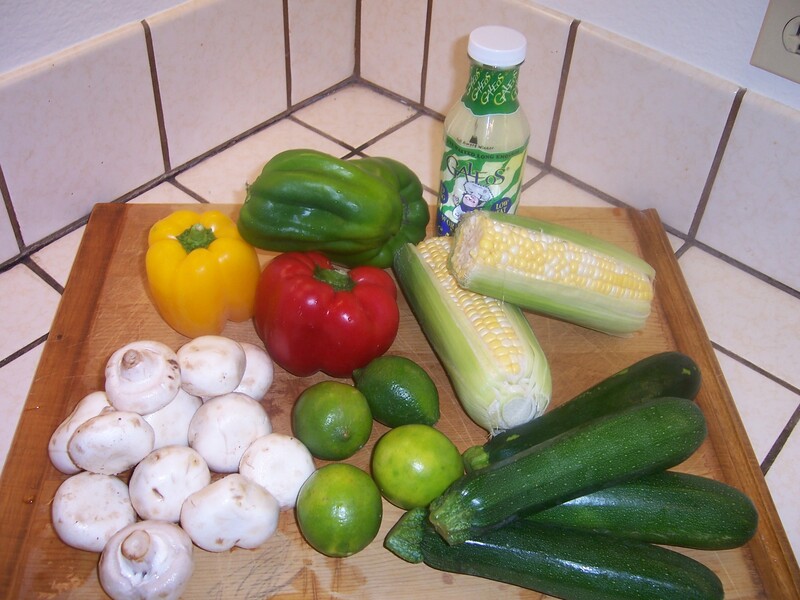 Next, hull and slice your bell peppers into quarters. Set these in the tray as well. Slice zucchinis in half, lengthwise, and set these in the tray. Now, spoon your Galeo’s Miso Ceasar dressing over the vegetables, drizzling it over each veggie evenly. Set aside for an hour. 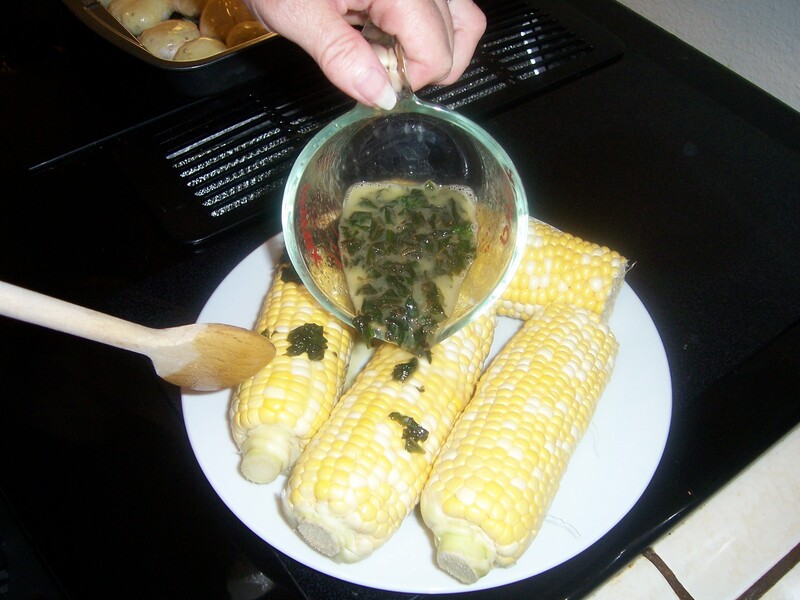 In addition to our Miso veggies, we also thought it would be fun to prepare some basil and lime buttered corn on the cob. Corn grills beautifully, but you have to check on it, and turn it frequently to make sure you get a nice golden color to it. 4 corns on their cobs. Next, lay fresh;ly husked and washed corn in a tray, and drizzle the butter solution over. It may look a bit strange, but don’t worry, the basil is just for flavoring and mostly burns off on the grill. 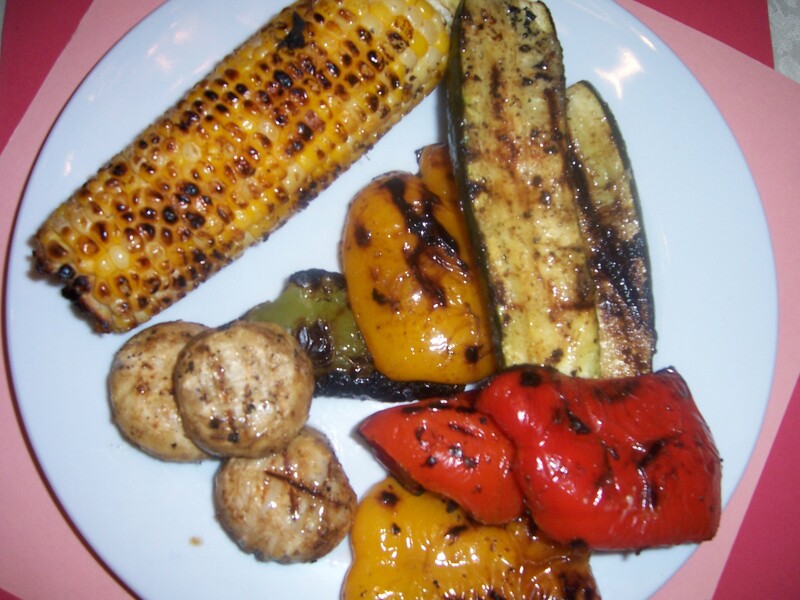 You can also use Galeo’s Miso Ceasar dressing as a marinade on the corn, we did this on one cob and very much enjoyed it. This entry was posted in Barbecue, Fatties in the Kitchen, New Product Review. Bookmark the permalink.